For the fourth year in a row, Providence won at St. John’s by double figures. On Saturday afternoon, the Friars used a balanced attack (all nine players who saw the floor scored), a shortened rotation, saw outside shots begin to drop, and a pair of freshmen displayed what this team can be when they turn the corner. After Saturday’s 70-57 victory, Providence has now won seven of its last eight contests against the Johnnies, and typically they have done so by being more physical. That was the case once again this afternoon, as PC held a 43-23 rebounding advantage (led by Alpha Diallo’s 15), and big man Nate Watson scored 18 points (5-9 from the field, 8-10 at the line). 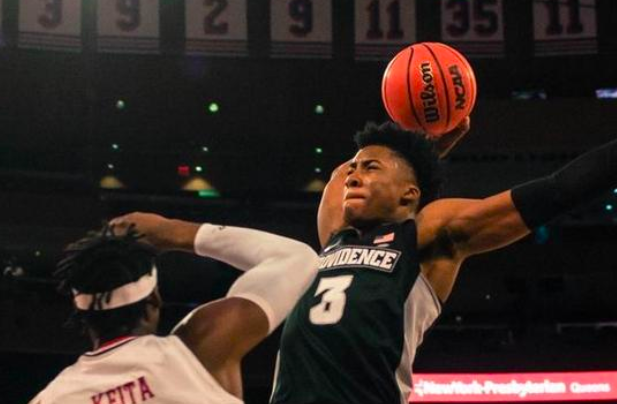 Earlier this week, the Friars had been blasted on the glass against Georgetown (50-33), and saw DePaul sophomore Paul Reed bounce over them for 15 boards of his own last weekend. At 3-7 in conference play, there were questions in Friartown about if this season was about to spin out of control, but to the Friars’ credit they not only hit the glass on Saturday, they continued to defend. St. John’s shot 37% from the field, and 2-12 from 3-point range. They didn’t make a 3-pointer in the second half. Offensive struggles have been Providence’s undoing in Big East play, but that has not impacted its defense. In five of the last six games PC has held an opponent under 70 points. Offensively, Providence set its Big East high, making 41% of its shots from beyond the arc. They had shot under 30% from deep in five conference games, with their season high (35%) coming in a January win over Seton Hall. Saturday saw an early 3-pointer from freshman David Duke, and late first half threes out of Maliek White and Drew Edwards. In the second, Isaiah Jackson and AJ Reeves combined for four threes of their own. Reeves seemed to find his legs in the second half with a pair of critical threes midway through, while Jackson hit a contested deep one early and put the game away late with a bomb as the shot clock winded down. 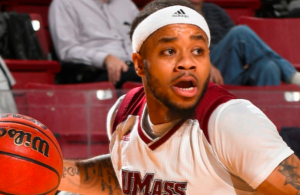 Providence was on a three game losing streak entering Saturday. Lost in that stretch has been the progress of freshman David Duke. Duke played terrific defense for a long stretch in a 65-63 loss at Seton Hall on Jan. 31. He also scored eight points on four field goal attempts on that night. A 17 point effort (5-11 from the field, 3-6 from 3, 4-4 free throws) followed in the loss to DePaul, and he backed that up with a steady 8/2/2 line Wednesday against Georgetown. But Saturday was a bigger step forward. Duke finished with 11 points, made 4-5 shots from the field, hit his only 3-point attempt and both free throws he took (he’s 10-11 at the free throw line the past four games), and finished both a highlight dunk and a difficult layup in traffic. 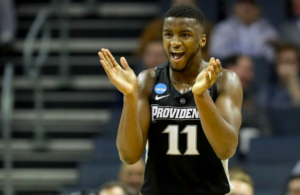 Midway through the second half he found Reeves late in the shot clock for a corner three as Providence took momentum of a game that saw a number of lead changes over the first 30 minutes. St. John’s star Shamorie Ponds scored 20 points, but Duke’s length was a problem for him, as it was for Seton Hall’s Myles Powell for much of the game in Newark. 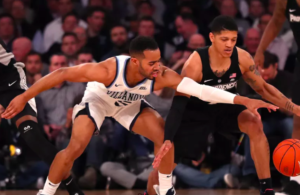 Reeves’ legs returning and Duke finding his footing were very encouraging sign in a game that left Ed Cooley extremely happy.